In order to create better and more things, we need to devote as much time as possible to thinking for creation. And, in order to effectively thinking for creation, there is nothing more to draw much knowledge as a material of thought. However, I think that withdrawing knowledge in this case is useless even if things that only “know” are included. Then, what should be included in the withdrawal for creation? Those in the drawer must be properly “handled” by themselves. That will be the point. In other words, “to be understood” by oneself. In order to treat it as a material, it can not be used well without “understanding” for it. That is why I want to say that it is very important to “understand” to do creative activities and thinking creatively, so this article I started writing. Creative resources are "various things in the world"
Let’s organize the point again one more time before you proceed with the story. It is a premise that is trying to write about “understanding” in this article. So why is “understanding” related to creative acts so much? As long as we are human beings doing the act of creation, as long as we are human beings, that creation means eventually, using the resources that exist in the world, it is an act of creating different value = meaning from existing Become. Never, that creation is not a matter of creating from the substance or organism itself used as a resource. While using resources as “various things that exist in the world”, we redeploy and rearrange it in a context different from the context which has been used conventionally to create new meaning = value. That would be creation by human beings. It is remembered that the Austrian economist Joseph Schumpeter defined innovation as “neue kombination” as of 1911. Even innovative creation is only an activity that reconstructs existing ones and creates new meanings. It is an existing resource. That is why how to understand and understand “various things existing in the world” on their own is a branch point as to whether they can be creative or not. Because there is no way to explore new combinations unless you understand. From this point of view, in the history, when human beings became more creative, I realize that innovation is always occurring in the way to understand “various things existing in the world”. For example, the era of the Renaissance. 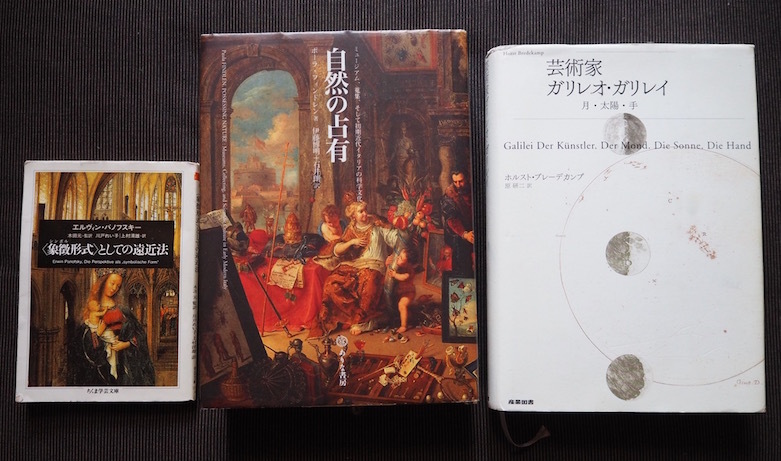 I would like to look at the changes in the way of understanding the world in the Renaissance while referring to these three books. Speaking of the Renaissance, art and culture centered on Italian cities such as Florence and Rome saw great development, while inventions of printing techniques by Gutenberg, astronomical revolution by Copernicus and Kepler, Galileo Galilei and others, Such as the development of navigation technology centered on the compass which made it possible for the beginning of the era of science and technology, as well as in the aspect of great innovation in terms of science and technology. None of these typology, typographical books, astronomical telescopes and microscopes made possible by these technologies, and offshore navigation techniques enabling exploration of areas outside Europe have been described by people as “various things in the world” It can be said that it is a factor that innovated the way to understand. For example, astronomical observation by the astronomical telescope of Galileo Galilei. In 1609, Galileo, who had been observing the moon with a telescope, discovered that there was an unevenness on the lunar surface and a black part. Galileo presented the observation as a “messenger of the star world” in March, 1610. However, according to Holst Bradecamp’s “Artist Galileo Galilei”, we can see that not only Galileo was observing the moon using a telescope at the same time. In 1609 the same as Galileo’s observation of the moon, British cartographer Thomas Haryot also observed a moon a little late from Galileo and left a sketch. “What he saw was left as a sketch of a leaf, but somewhat unclear fragmentary phenomenon is shown in the lighted area,” but only the bumpy raised found by Galileo, It is said that things that recall valleys are not drawn. In the same year in 1609, Adam Ersheimer, a German graduate who was active in Venice and Rome, is drawing a full moon that seems to have been drawn using a telescope in a work called ‘Rest on Escape’ . However, although the shadow which was blurred somehow is drawn on the surface of the moon drawn by Elsheimer, it goes without saying that it does not reach the accuracy of Galileo, “Yan van Eyck and Leonardo have reached long ago It is said that it is not far behind the precision “, and furthermore,” Cigoli that could not use the telescope is retrograding rather than the dark as if it was enormous uplift “. “That is why doubts come up,” Bredecamp sheds doubts as follows. Why did not Galilei’s predecessors emphasize easily what Galilei could clearly make as the essence of the phenomenon immediately after that? In brief explanation, it may be that the Haloot 6x telescope was worse than Galileo’s. In fact, the Galilean telescope had somewhat advanced capabilities. Yang van Eyck and Leonardo da Vinci were able to provide an accurate image of the month rather than Hariot because he had trained eyes to see impartiality. Before such facts, we make the impression that deciding phenomena recognition is not mutual performance of instruments, but mutual interference between nature observation and prediction. 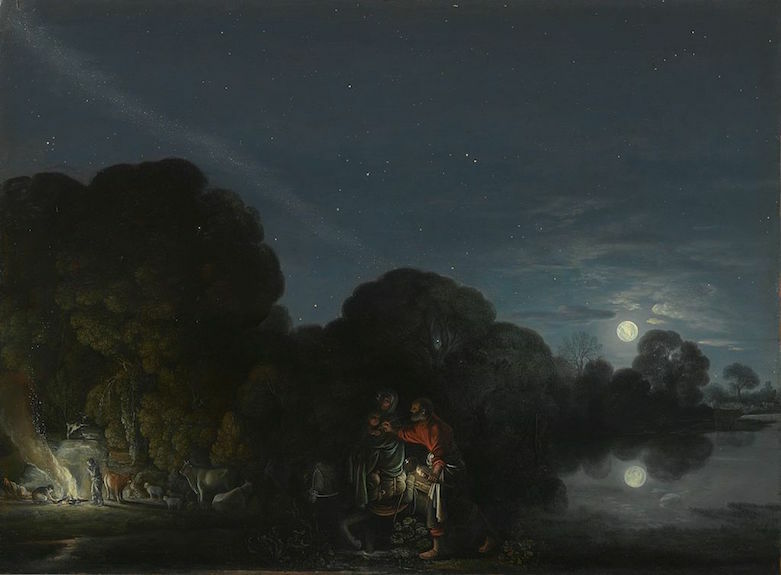 Even if you use the same astronomical telescope you can recognize the unevenness of the moon at Galileo and could not do with Hariot and Elsheimer, it is incorrect that only technology changed people’s understanding of the world to the people of the Renaissance period . Not to mention that tools are necessary, but there is also the need to have the ability to create understanding by “mutual interference between nature observation and foresight” = new interpretation. What Galileo went through was to draw repeatedly the appearance of the moon obtained by observing with a telescope. It is contemporary with Francis Bacon’s proposal to acquire new knowledge legally by induction legally based on information gathered through objective observations and experiments in the book “Noum Organum” in 1620 I feel sexuality is strong. Inductive method based on observation and experiment. That was one of the ways of understanding the new world that emerged in the Renaissance period. In terms of changing the view of the world of European people, it seems that the perspective that Renaissance art had a great influence on the history of art afterwards. The perspective method has not only changed the way of drawing a picture. Until the Middle Ages it changed the way of art as much as pushing up paintings, which were not particularly central in the field of art, to the central form of work in art. 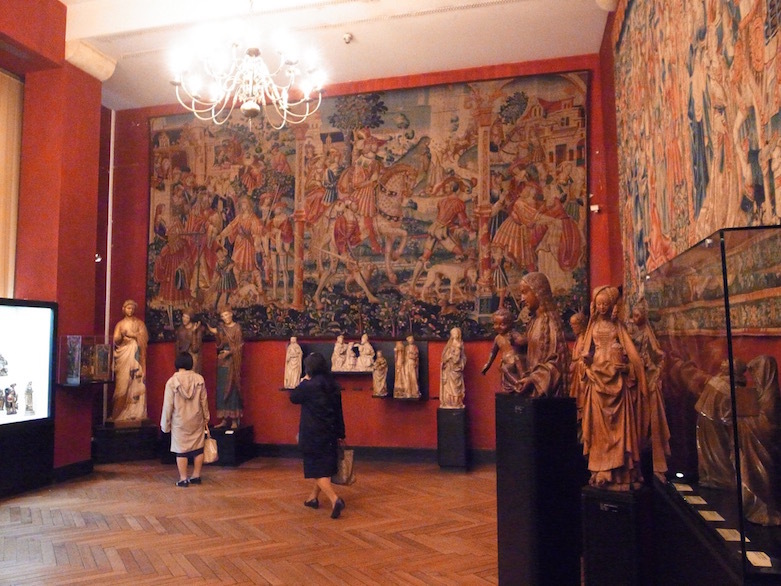 Cluny medieval art museum in Paris. Religious art objects such as sculptures, tapestries, stained glasses, etc. are the center, and the proportion of paintings is small. Furthermore, the influence of perspective does not stop beyond just art. Perspective also creates a gap between humans and objects (“One is the eye we see there, the other is the subject being seen, the third one is the one between them It is a gap of ‘Piero della Francesca’, following Dr. Piero della Francesca), but it also means that the world of objects confronting the autonomously existed human being is sort of By doing so, I also discard this gap. At the same time as creating a gap between people and the world, the perspective method to discard. People who see pictures find the illusion that they are touching the world simply by looking at the picture by the discarded gap, and at the same time, they are confronted with a gap isolated from the world itself. That is exactly linked with “knowledge (= picture)” about the world keeping us away from “understanding (relationship with the world with experiences and feelings)” about the world itself. Although we are constantly given new knowledge through the Internet, we are busy with the stopping of that flow and it is difficult to spend time to spin properly informative interpretations for ourselves. I can understand it, but I do not understand it in the real sense. That’s why we can not take action against the world properly. Indeed it is quite difficult to get involved in the world properly while being isolated from the world. A lot of information that I did not know is flooded around my body and the picture is presented in front of my eyes so I can certainly understand it, but in fact I do not understand anything. In that situation suddenly it was Europe in the Renaissance period. So, the European people at the time struggled to understand them beforehand with such huge unknown information. As for what kind of struggle we did, anyway, we gathered unknown well-known things around ourselves. It is the epidemic of the so-called “wonder room (Wonder Kamar)” which continued from the 15th century until the 18th century. 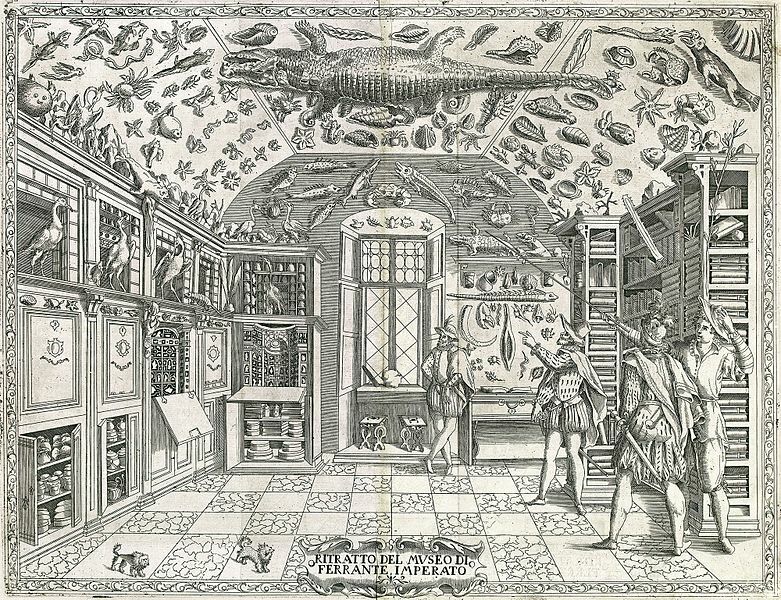 “Wunderkammer (Wonderkamer)” is German and means “a wonder room”. As its name suggests, WonderCamer was collected anyway, whether natural or artificial, if it is a strange (or unintelligible) thing. For example, the image below depicts the wonderful room that was owned by Felante Imperat who was a pharmacist in Naples at the beginning of the 17th century. If you think that various creatures are probably stamped around the big crocodile on the ceiling, a lot of books are stored in the right hand shelf, and they enter the left hand pot or box You can see that some items are kept. In other wondrous rooms, samples such as plants, shellfishes, and odd stones, art objects such as paintings and sculptures, Oriental ceramics, ethnic tools of South America, weapons and other items are arranged. It is kept and displayed in this unconditioned state because the way of organizing such things and correct taxonomy has not been established yet. It would be like this if you visualize the unknown state. And if you do not feel such a situation is unnatural, you can not design etc. 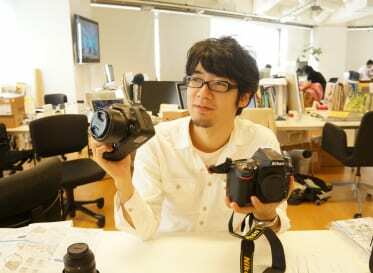 I think that it is such a thing that it can not be designed if it can not be understood. To the contrary, it can be said that it is a design to visualize / materialize how to interpret it. And if there is newness in its interpretation, that is a design with creation. The epidemic of “wonderful room” which displays and keeps collections in any mixtures continued until the mid-18th century was replaced by an archive center that exists even in present-day museums and museums. The iconic one is that British physician and collector Sir Hans Sloan was lost in 1753, and then the British Museum was established in the same year around the collection in the same year. Karl von Linne, known as the father of taxonomy, developed the nomenclature of plant scientific names in “plant seeds” and showed the classification method of nature in the same year 1753, so even around this time also the method of understanding humanity I can see that history has moved a lot. In “Natural occupation – museums, collecting, scientific culture of early modern Italy” author Paula Finding said “The appearance of museums, laboratories, botanical gardens, anatomical theaters, etc in early modern Europe, As playing a crucial role in replacing knowledge from overlaying to a visual experimental place “, collectors of Europe who agreed with the induction legal academic attitudes advocated by Bacon are collecting place It is known that there were various places such as experimental places where public experiments and open dissection can be performed, botanical gardens as medicinal herbs, and anatomical theaters as well as the above “wonder room”. Both of them do not rely solely on authoritative knowledge written in books, but inductive attitudes trying to acquire knowledge by touching various things themselves are motivation to create a place. 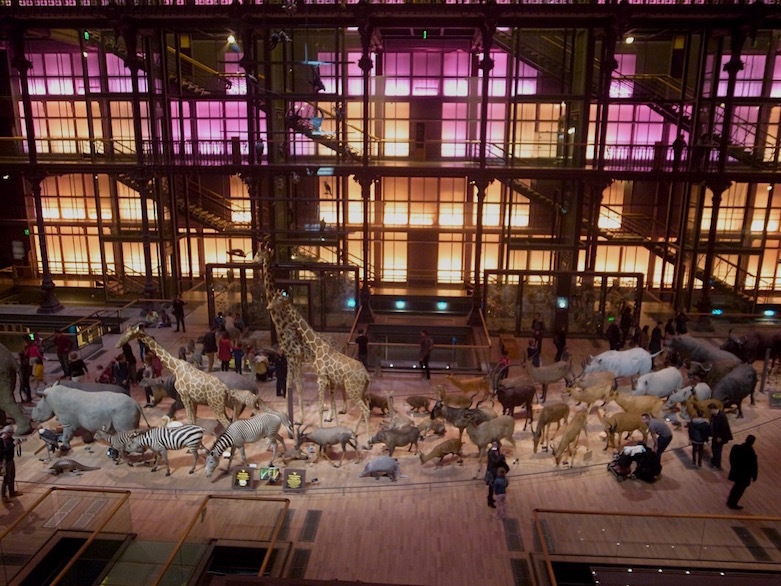 An exhibition scene of the National Museum of Natural History in Paris. The royal medicinal herb garden supervised and operated by the king 's doctor' s doctors roots. It is interesting that Finding says “Catalog is the most important product produced by the collection” as a change brought by the collecting fever of Europe during the Renaissance period. While the catalog was clearly present from the Middle Ages, the catalog is an invention of the early modern era. The catalog records the contents of the museum. The inventory shows the museum’s reality as an amount by creating a list without giving the object analytical meaning. On the other hand, the catalog tries to interpret. The emergence of the catalog in the second half of the 16th century suggests how the practice of Renaissance collectors was new. The difference between catalogs and findings pointed out here will overlap the difference between “knowledge” and “understanding” as it is. Is it simply a collection that does not give an analytical meaning, or will it give practical interpretation to collections? The museum of the collector of the Renaissance who seems to have gathered in the detalamen from the viewpoint of modern times should also be a creative resource for their interpretation = understanding. While actually seeing unknown things in front of us, we observe each one carefully, compare it by arranging it variously, sometimes trying experiments in various forms and adding interpretation to things in front of you . Through such actions, we created new knowledge that is not mentioned in existing authoritative books. How can you acquire the understanding power necessary for creation? When considering it, the activity that such collectors of Renaissance made through “wonder room” is very helpful. In other words, what you need to improve your understanding is not to collect the answers and know-how already completed, but rather to gather things that are not understanding = interpretation around yourself and then interpret your own From the viewpoint of not being assembled. Collect unknown things and information and create situations where they can be experimentally manipulated. Under that circumstance, we will find new meanings while observing, comparing, trialing, disassembling, mixing, etc. By doing such a repetition, is not it a fundamental part to become able to raise the ability to understand and to be able to make creative thinking? The point is that it is not necessary to gather information that is easy to understand and answers that are ready to use immediately, but it is necessary to gather information that you do not understand and to repeat efforts to understand by your own power. Certainly unknown matters are hard to understand one by one. However, as the collectors in the Renaissance period gathered a lot of things you do not know anyway, hints to find out by analyzing them are found. Is there such a way of understanding habitualized from usual? One point that enhances understanding is likely to be around there. 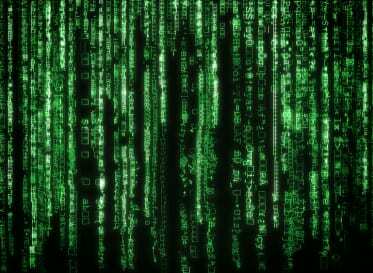 So, how can we manipulate the collected information, we can spin out understanding-related interpretation? I will write about it on another occasion. After graduating from Shibaura Institute of Technology, Hiroki Tanahashi worked as a marketing researcher and became involved in web production around 1999. From 2004, he was engaged in web strategy planning and the provision of consulting services based on human-centered design at Mitsue-Links Co., Ltd.
From 2008, he shifted the focus of his work from web to products/services and was engaged in the consulting services for user research and interaction design at IID, Inc. In 2009, he was involved in supporting the development of new products/services and providing education programs to develop internal innovators for client companies at CoPro System Corporation. In 2013, he joined Loftwork Inc. 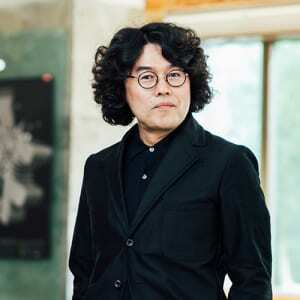 He is in charge of providing support to clients in realizing innovations in their business activities, with emphasis in the area of service design. 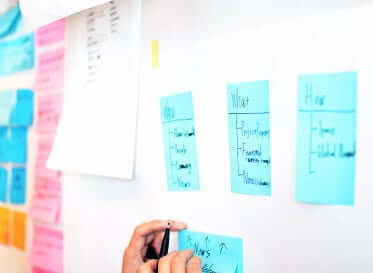 He has written “Design thinking-based approaches” and “After you’ve made a persona, what’s next?,” and co-written “Marketing 2.0.” His personal blog “DESIGN IT! w/LOVE” has been active since 2005.